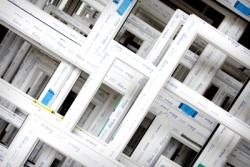 Manufacturer and supplier of quality, uPVC frames to fabricators and installers across Norwich and East Anglia. We also manufacture Guardian’s solid tile roof system. Turn consumer heads and win new business at better margins with coloured Synseal Synerjy and Shield windows and doors, and Global roofs. Frames can be foiled using the Synseal Artisan range or colour-bonded in any of the 1,900+ colours in the RAL range. This is done on-site for a faster turnaround and comes with 10 year guarantee for peace of mind. We can help you win profitable jobs in the conservatory roof market too with added value products such as the Global Summer Orangery and K2 Rio and Venetian orangeries. These easy to install systems are ideal for homeowners wanting a cost-effective alternative to traditional orangeries. Customers complaining about their conservatory being too hot or too cold? Guardian Warm Roof is the perfect solution. Ideal for retrofit and new build installations, the Guardian Roof removes common problems associated with conservatories such as extremes of temperatures. Pyramid Windows (East Anglia) Ltd have not provided their accreditations. Pyramid Windows (East Anglia) Ltd have not provided their brand/trade names. Pyramid Windows (East Anglia) Ltd do not have any listed keywords. Pyramid Windows (East Anglia) Ltd have not listed any of their products. Pyramid Windows (East Anglia) Ltd have not provided any of their downloadable files. Pyramid Windows (East Anglia) Ltd do not have any news. 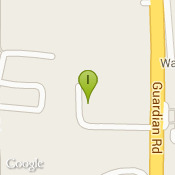 Pyramid Windows (East Anglia) Ltd have not provided any YouTube videos. Locations associated with Pyramid Windows (East Anglia) Ltd.